Your eyes are constantly working. They must perform muscle contractions all day long as you attempt to focus on objects at varying distances, and as part of the expression of emotion. These frequent muscle contractions, along with regular sun exposure, often cause the eyes to develop signs of aging earlier than other areas of the face. 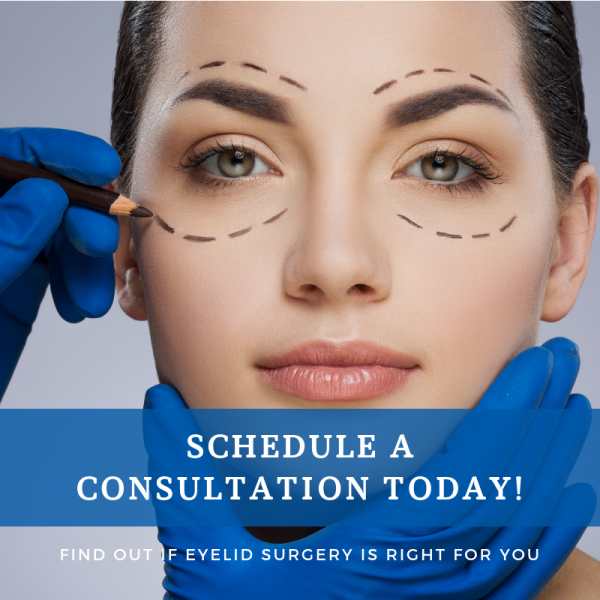 If you’d like to eliminate fine lines and wrinkles around the eyes in order to restore a more youthful appearance, then eyelid surgery may be an excellent solution. Very few facial plastic surgery procedures have the ability to achieve the dramatic results commonly accomplished from eyelid surgery (also called blepharoplasty). Dr. Dean Kleto will develop a customized treatment plan to address the unique ways you are impacted by signs of aging around the eyes. You can receive individualized treatment recommendations by speaking with Dr. Kleto in person. Please call 865-366-4755 today to schedule a consultation. We serve patients in the Knoxville, Tennessee area. Blepharoplasty is an effective way to achieve a more refreshed and rejuvenated look in the eye region. You can experience beautiful, natural looking results that take years off of your appearance. You may also experience important vision benefits from eyelid surgery. When eyelids droop as part of the aging process, it can obstruct your visual field. By correcting this issue, you may experience a broader visual field and improved peripheral vision. There is no right or wrong age to undergo blepharoplasty. While the procedure has most commonly been performed on men and women in their 40s and 50s, Dr. Kleto has seen a growing number of individuals get the procedure during their mid to late 30s in order to combat these signs of aging in their earliest stages. Ultimately, the best time for you to get eyelid surgery is when you feel ready to address these signs of aging. Your blepharoplasty procedure will be performed on an outpatient basis under general anesthesia. Dr. Kleto will make incisions in the creases along your upper eyelid, removing excess upper eyelid skin and bulging patches of fat. He will make additional incisions along the lower rim of the eyelid in order to remove excess bags of fat. The CO2 skin laser can be used to remove excess lower eyelid skin. Dr. Kleto will then remove excess tissue and skin before raising your eyelids and firming your skin to accentuate the natural shape of your eyes. Depending on the extent of your procedure, eyelid surgery may take up to three hours. Please read our Questions about Blepharoplasty page for additional information. Recovery from eyelid surgery is relatively quick. Following your procedure, your eyes will be lubricated and ice compresses will be applied. You should arrange for assistance for the first 24 hours following your procedure to allow yourself plenty of time to rest. Dr. Kleto will remove your stitches after five to seven days. At that time, swelling and bruising should be greatly reduced. Swelling can be controlled with the use of cold compresses, and the results of your eyelid surgery will be apparent as soon as it subsides. Please contact Dr. Kleto using the form on this page or call 865-366-4755 today to schedule a consultation. We serve patients in the Knoxville, Tennessee area.